Continuing our series of “Vendor Reveals”. Through our Disneymooner forums we’ve found our members have used a number and variety of Vendors for their Disney Wedding and we’ve been asking those Vendors to reveal just a little more about their business……. and themselves! What is the name of your business/service and what is your offering? What is your name, seems obvious I know but maybe it’s different from your business name? How did you get started and how long have you been doing this? When not working a wedding at Walt Disney World (or another venue for that matter) what are you doing? Tending to one of my many doggies, spending time with my hubby when he’s here (he’s Navy)… I spend a lot of time with my family, I have a large family… Movies, catching up on favorite TV show, friends… the usual stuff… Ironically my clients tend to take me to the best places for weddings and other shoots so sometimes some of the most fun I have is with them!! The fact that it’s rewarding. 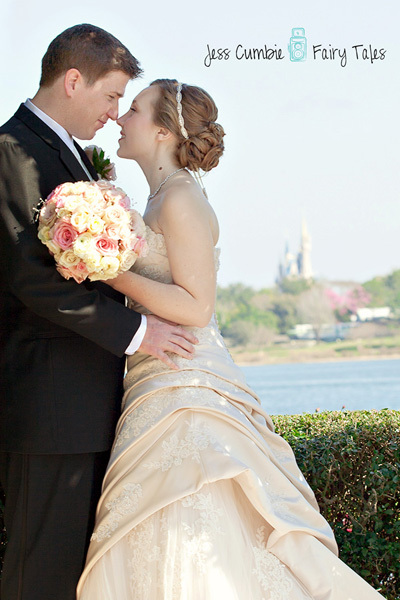 What types of wedding packages do you offer Disney brides? All my wedding packages start with 4hrs of coverage then the bride can choose from there. I like for my sessions to be as customizable as possible for the client. What is your favorite wedding trend right now in relation to your business/service? What’s your favorite thing about doing Disney weddings? It’s Disney… Does there need any more explanation? What was your strangest request when working a Disney Wedding? Nothing too out of the ordinary… I JUST got off the phone with one of my brides who asked me if I would want to come to their desert party inside the park after the wedding, even though they know I can’t shoot… just to come and enjoy… I told her that it was her call but I’m FOR SURE not going to say no to fireworks and sweets!!! 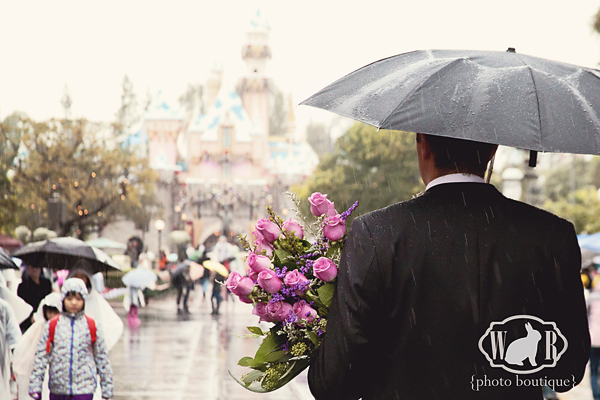 What’s your most memorable moment that you have taken away from a Disney wedding? 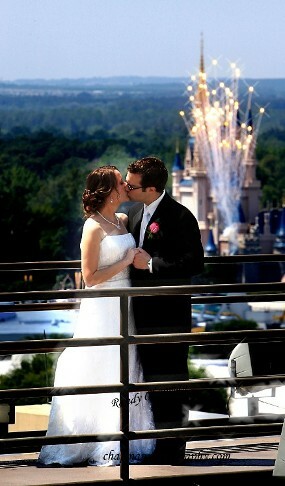 If you were getting married at WDW where would you have your ceremony and reception and why? oh my… I think if I were to be getting married… I’d do it… ummm…. well….. uhhhhhhhh….. sigh… I have no idea… I don’t know how people choose!!!! Who is your favorite Disney character and why? Which is your favorite Disney attraction and why? Why should a Disneymooner choose your service? To quote myself, from my Disney Wedding info packet……..
Another Vendor Reveal from the West coast servicing Disneyland Fairytale Weddings. What do you believe makes your business/service unique? 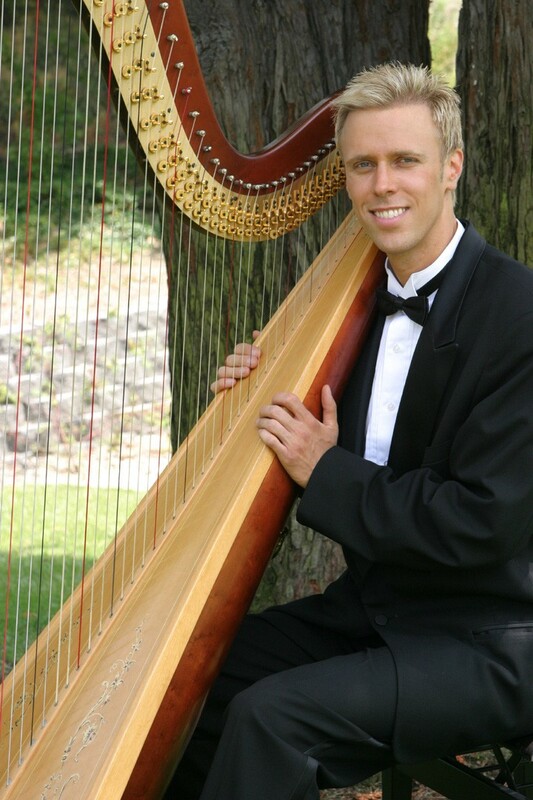 – The magic of live harp music adds so much to the finesse of a wedding ceremony. Not only is the instrument beautiful to look at but the sound is as well. – I began taking harp lessons in my hometown growing up, and have been a professional harpist for more than 10 years now. I’ve played for more than 1000 weddings in Illinois, Michigan, Indiana, and California. When not working a wedding at Disneyland (or another venue for that matter) what are you doing? – Most of all, I enjoy getting to travel around the area and perform at many interesting resorts, hotels, and natural settings. – I offer a standard wedding package, which includes consultations, a prelude of music to set the mood as guests are seated, the processional music, the recessional, and a short postlude as guests exit. On occasion, brides elect to have me also play for the cocktail hour. – I have really enjoyed the personal touches that brides and grooms add by selecting music that is meaningful to them in one way or another. I believe it makes their special day that much more memorable. I’ve been very willing to work with special requests to make this possible. 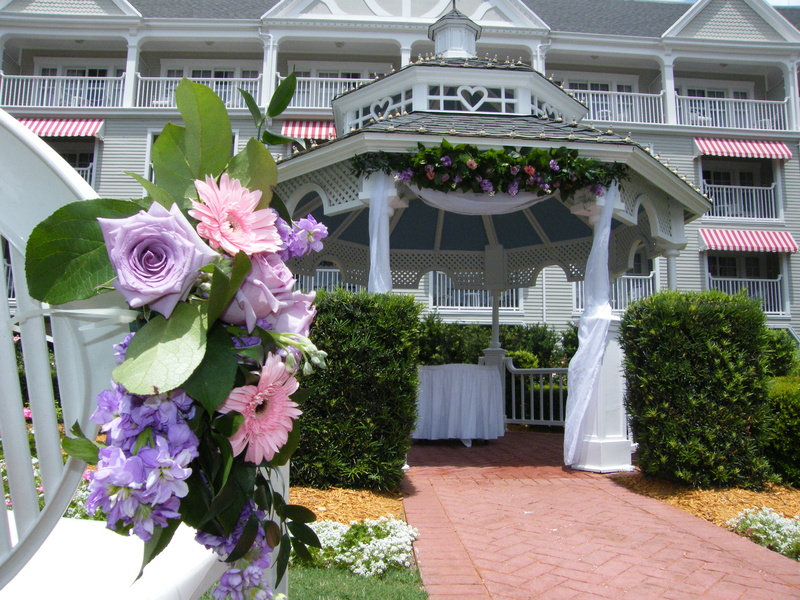 – The wedding staff at Disney is very organized, friendly, and wonderful to work with. I have never had any problems. – I haven’t had a strange request, but one time a bride came riding in on the Disney Main Street fire engine, which I thought was amazing. – One time Goofy walked up to me and really got exited about my harp, and did a pantomime to communicate how much he loved my music. I really enjoyed the extra attention, Goofy certainly is a comedian. 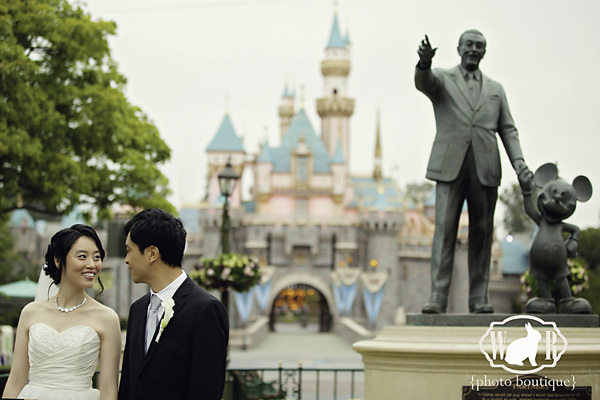 If you were getting married at Disneyland where would you have your ceremony and reception and why? 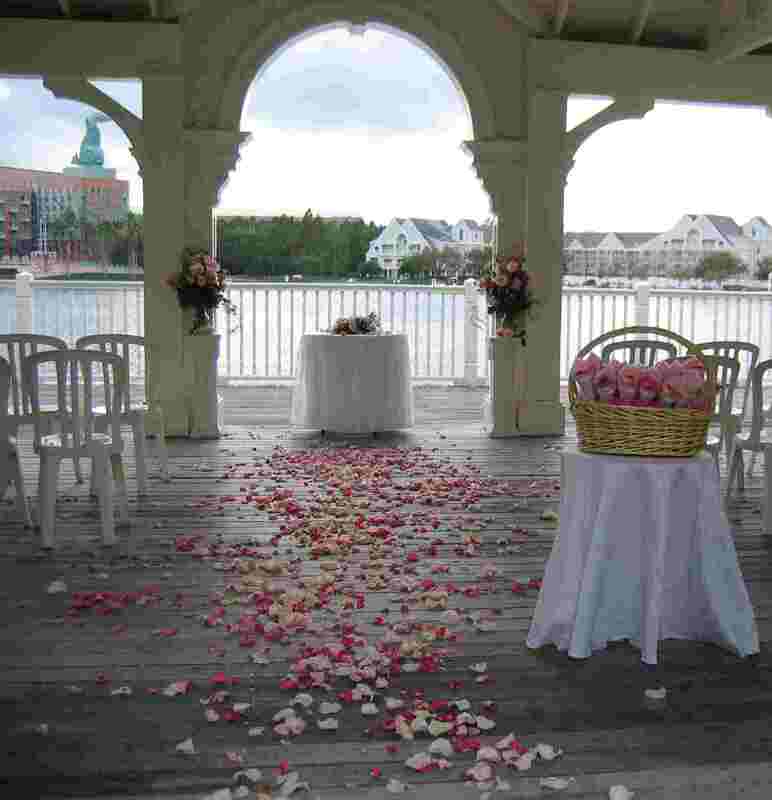 – The Rose Court Garden is a lovely setting, there is plenty of room for guest seating, it is quiet, and very intimate. A good place for the reception is the Sleeping Pavilion which has windows overlooking the beautiful Disney Hotel property. – I’ve always liked Goofy, mostly because Goofy’s Kitchen is nearby where most wedding receptions take place and he always waves at me. – I’ve always loved the Haunted Mansion – it never gets old no matter how many times you visit. – I really do care about my clients, and do everything possible so that they will be happy and satisfied with the music for their special day. I feel that I am professional, reliable, and also confident of my performing skills. Anyone booking Your Harpist can be sure they will be very pleased with my services. Continuing our new series of “Vendor Reveals”. Through our Disneymooner forums we’ve found our members have used a number and variety of Vendors for their Disney Wedding and we’ve been asking those Vendors to reveal just a little more about their business……. and themselves! 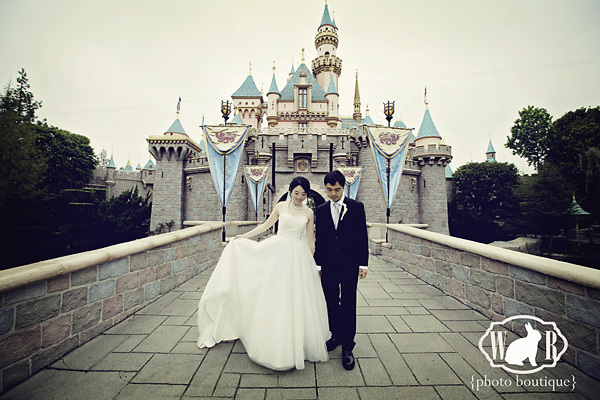 Our next Vendor Reveal comes to us from the West coast servicing Disneyland Fairytale Weddings. My business name is the White Rabbit Photo Boutique, and I offer wedding photography, custom invitations, and am just getting a new photo booth(!!!) A lot of people assume that I decided on the White Rabbit name because I’m a Disney fan. It’s semi-true, but the biggest reason was because it was exciting to start my own business, and it felt a little like Alice following the Rabbit down the rabbit hole on her way to a new adventure. It also was whimsical, and I’m a big fan of whimsy. The biggest difference between myself and other photographers, is my training as a visual anthropologist. I had to photograph different cultural events and people, and so I learned to document everything about the environment I was in. Because of this, I’m great at capturing the overall details and feeling of the wedding day, as well as showcasing the personalities of the couple. The thing that ties in weddings to my anthropology training, is that I’ve had art training since I was very young, so I try my best to capture the day in a way that is also beautiful. Ack! This is a long story! Many moons ago, I worked at a popular photography studio in the Central Valley as a second shooter. I was working towards my degree in Anthropology, with a minor in Digital Media. I was hoping to eventually get contractual work photographing other cultures in different countries around the world. I loved anthropology, but then I unexpectedly met my husband and didn’t want to travel for years at a time without him. Instead of applying for grad school and anthropology contracts, I used my backup plan and began working as a kindergarten teacher for two years. When we adopted my son, my teaching contract just happened to end because our school was closing. While I was at home raising my son and looking for jobs, I started blogging and posting photos about our life (www.thislittleblog.com). This led to being asked about photographing an engagement shoot, which led to being asked to photograph a pirate wedding, which led to being asked to photograph a proposal in the Dream Suite, which led to being added as a preferred vendor at Disneyland! I couldn’t believe my good fortune, and cried happy tears on the phone when I was told I was being added to their vendor list, because I’m sappy like that! Hands down, getting to photograph people on one of the happiest days of their lives. 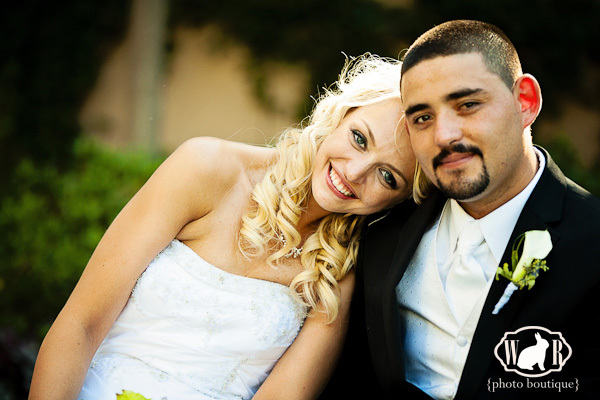 I have four photography packages starting with escape weddings and moving up. All of my packages include my services for the entire day (I don’t like time limits!) and a beautiful Custom Designed DVD with all of the high resolution images. Brides and Grooms can print images on their own, or have them printed through my professional printing company. I also design albums, do custom framing, engagement books, and anything else you can think of. People are usually surprised when they see my pricing, but I like keeping my pricing affordable because I know what it’s like to pay for a wedding and I think everyone should have the chance for beautiful pictures on their wedding day. I think it would be all the creative details people pull into their weddings. 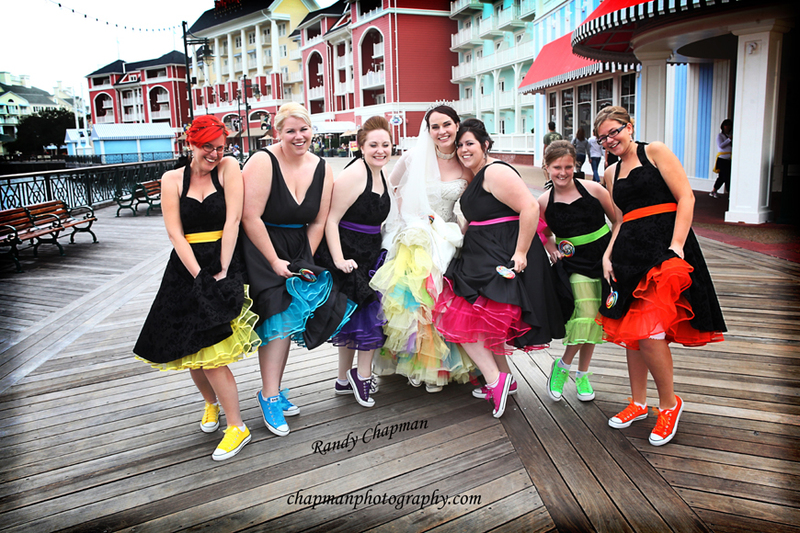 I’m always amazed at how creative and classy the Disney Brides are. This is hard because there are so many things I love about Disney Weddings. I love getting to know the couples because we have a common love of Disney, but I also love working with the Disney Coordinators. They love their job as much as I do, and it is really fun to work with their team. They tell me about how beautiful a dress is going to be, or how neat the details of an upcoming wedding are. It’s great working with people who are so excited about the weddings that I’m going to be photographing. It’s a really fun, rewarding, and positive environment. I haven’t had any strange requests yet. This is probably because I went to school for anthropology and am still waiting for the day that someone asks me to try a soup that’s made out of bug juice. Ack! I am going to sound so silly, but here I go….When I worked at the park ages ago, I used to take the long route and made a point of walking through the castle every morning so I could hear “When You Wish Upon a Star”. My favorite line from the song was when they’d sing, “fate is kind, she brings to those who love”. It happened to play when I walked through the castle on my first shift at Disneyland, so it was special to me. If I heard that part of the song when I walked through castle at the beginning a shift, I knew it was going to be a good day. Not too long ago, I was photographing a Morning Castle Shoot for Tina and On Wa. I walked through the castle and heard that particular part of the song. I had this moment where I felt like things had come full circle, and that I was the luckiest person on the planet to be able to do something I love so much. My husband and I talk about this all the time, and we decided we’d get married in New Orleans Square. We love the atmosphere over there, and think it would make an awesome spot for a wedding. Second runner up is the Mark Twain River Boat. Alice, of course! I love how logical she is about the quirkiest things. I often feel like I’m having Alice moments. Storybook Land Canal Boats, because I worked there for five years and that attraction was my baby. I have a hard time riding it now, because if I see one single thing misplaced, it makes me want to bring the Attraction Tinker Fairies some cookies so I can get it fixed pronto. THIS! Coming from the worst salesperson in the world! I would want a Disneymooner to choose my service because they love my photos. After your wedding, the only thing you’ll have to look back on are your photos and videos! It’s so important to choose a photographer that is going to give you photos that you want for always. My son’s favorite book is our wedding album, and I’m so glad we took the time to find a photographer that we loved! Disneymooners should do the same, and if it happens to be me? Yayyyyyy, that’s awesome! I can’t wait to work with you! WELCOME to the next in our new series of “Vendor Reveals”. Through our Disneymooner forums we’ve found our members have used a number and variety of Vendors for their Disney Wedding and we’ve been asking those Vendors to reveal just a little more about their business……. and themselves! 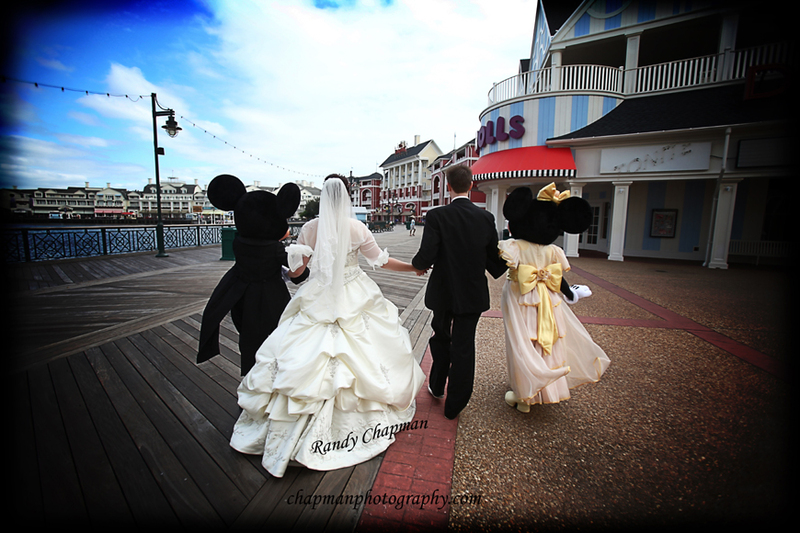 Chapman Photography ~ Randy Chapman, specializing in Disney Fairytale weddings and honeymoon Photography. 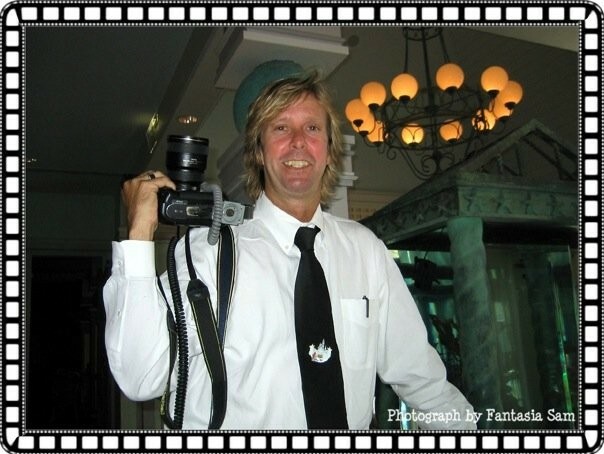 We also photograph Disney Vacations and Family Reunions! What makes your business/service unique? With 17 years shooting Disney Fairytale weddings, I have a great reputation for capturing unique, creative and natural fun moments. Over these years I have extensively communicated with and worked alongside Disney’s staff which aid towards a seamless day for the Bride and Groom! I discovered my talents when shooting in New York City,, after shooting great upcoming models for 2 years, I moved back to my native State and City, Orlando Florida, where I pursued my talents in the wedding field. After shooting weddings for 6 years, I was recognized by Andrea Rotondo in 1997. 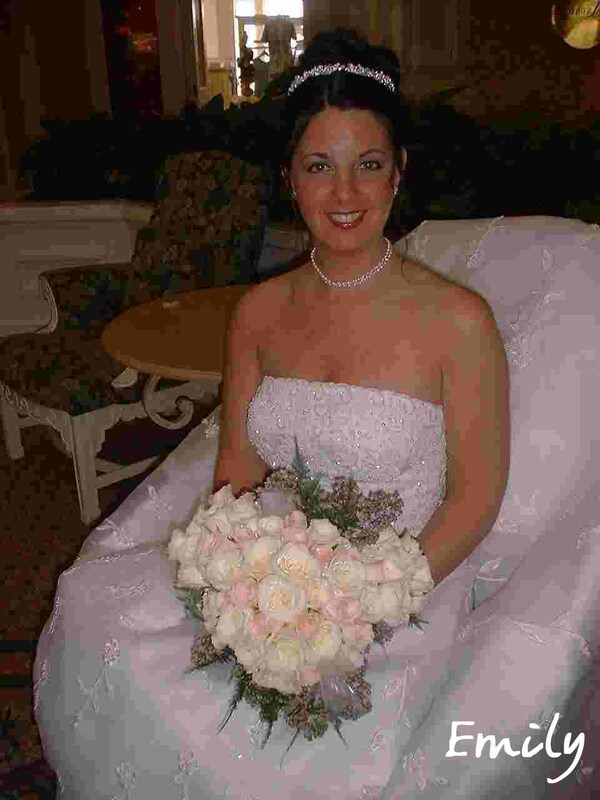 Andrea was a past Disney Bride in 1996 and founded the Disneymooner list and Unofficial Disney Wedding Guide… Andrea posted a link to my website and from there, history was in the making!! After 17 years numerous awards and thousands of Disney weddings, Disney Fairytale Weddings and Honeymoons is my home of 90% of all my weddings. On my days off from shooting Disney weddings, I love shooting Family sessions, Honeymoon couples, engagement shoots, and try to get in 14 miles of biking every other day!! The favorite part about my job is everything!! What better job can you have, do what you love to and go to work, where that day is one of the happiest days of another person’s life!! Then to see how excited a Bride and Groom are when receiving their photos!! My Photography packages are customized for each Couple to fit their budget, in some cases full wedding coverage will include engagement session or Honeymoon session. 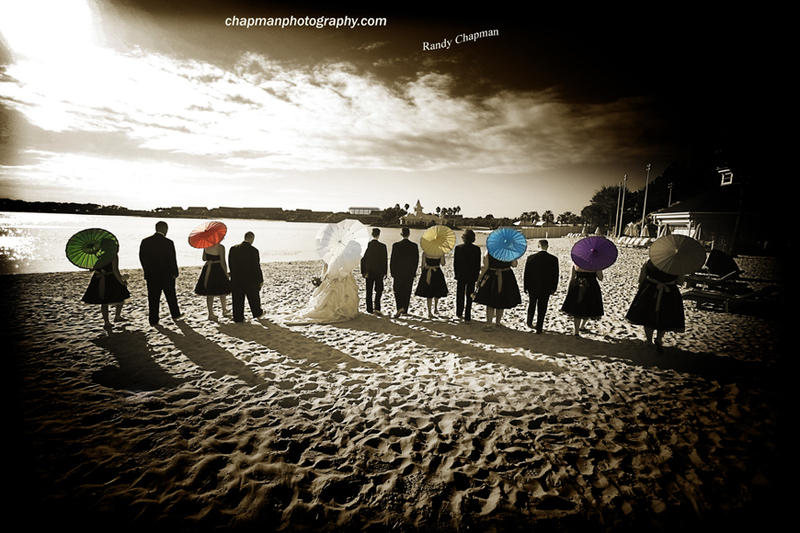 There are printed packages on my website www.chapmanphotography.com or email info@chapmanphotography.com 407-841-2300 cell 407-341-0761. All the Packages include the master DVD with all the copyrights! My Disney couples are less traditional and using a lot of bright colors, props, Trashing the Dress, shooting Honeymoons, Social Networking Facebook for Sneak Peaks. Checkout my Facebook. One of many favorite experiences of shooting Disney Weddings is working with Disney Fairytale Weddings Staff, they all do a great job. Another is shooting Cinderella’s coach, all the Charters and Monorail. I could write the top 10 strangest requests but I will keep it short A reception at the Grand Floridian approximately 200 guests and everyone is at their tables eating Cake… the Bride then had the DJ announce my name and request a dance with me…..eeek not a pretty site !!! Hips don’t lie!!! The most Memorable Moment was at the last-minute of a wedding I was shooting my Bride asked me to walk her down the aisle at the Wedding Pavilion as her brother was delayed at the airport. Also a family of 3 sisters and 1 brother all had their wedding at Disney which I photographed and I’ve been shooting their family portrait sessions every year since! 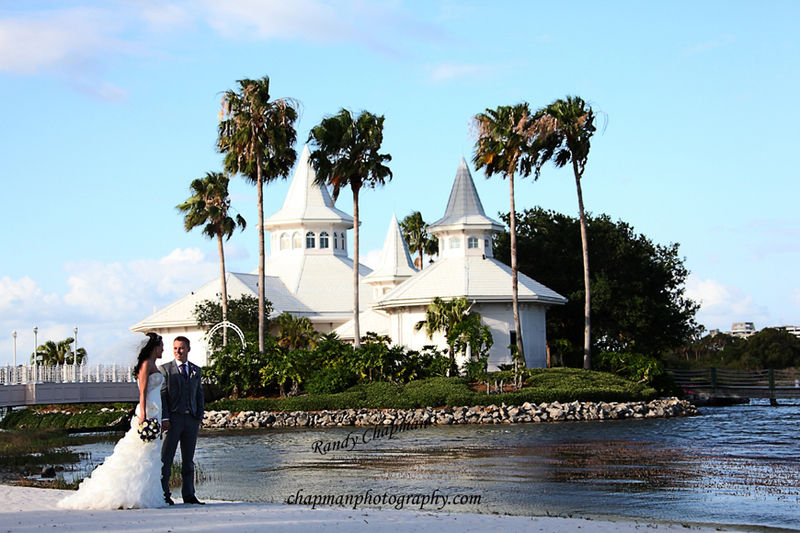 If I was to get married at WDW it would be at the Disney Wedding Pavilion this being Florida and the weather changing by the hour, there’s no need for a back-up location plus it has A/C and an awesome location for photos. My reception would be the Atlantic Dance Hall, because the location is at the Boardwalk which makes for great photos outside. It also has an outside Balcony great for viewing the Illuminations at Epcot and I can make the photos look like we were there!! The inside is great, no need for a whole lot of decorations and it has a great dance floor… perfect! Pluto has always been very playful and fun with photos!! Favorite Disney Attraction is Haunted Mansion, it brings a lot of memories, being born and raised in Orlando, our family went to Disney a lot in the 70’s even though the Haunted Mansion had a 45 min wait I was there. Not really an attraction but I love Eating Around The World at Epcot. Why should a member of our Disneymooner Forums choose your service? I believe with my vast knowledge and 17 years specializing in shooting Disney Fairytale Weddings, under very affordable packages, I can be of a great advantage for my future Disney Couples. My Experience in knowing all the great locations for photos whether you choose a Wishes, Escape, or Memories Wedding, I will keep the Wedding Couple on the required timetable throughout the day. All the Disney Fairytale Wedding Staff know me and we work great together as a team. 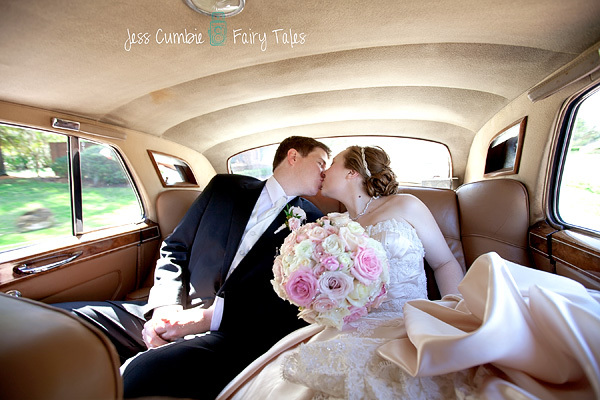 I enjoy, being a part of making dreams come true with beautiful wedding photos. 90% of all my weddings are at WDW! 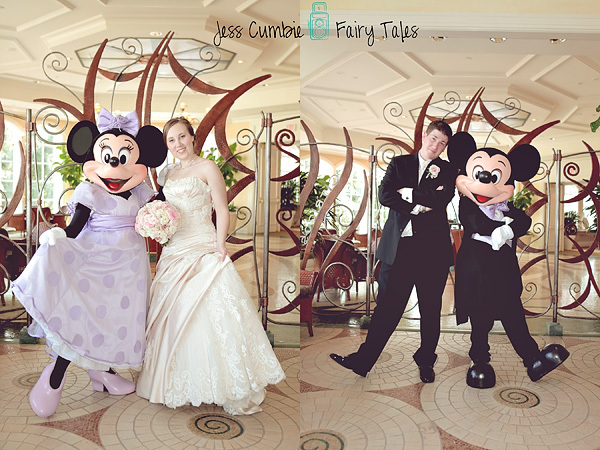 I have a great following of past, present and future Disney Wedding Couples including many from the Disneymooners that will give you their experience with me, many have continued to come back to me after their wedding for Vacation shoots and/or Family Sessions around the Walt Disney World Properties, which I believe is a great testament to my work! 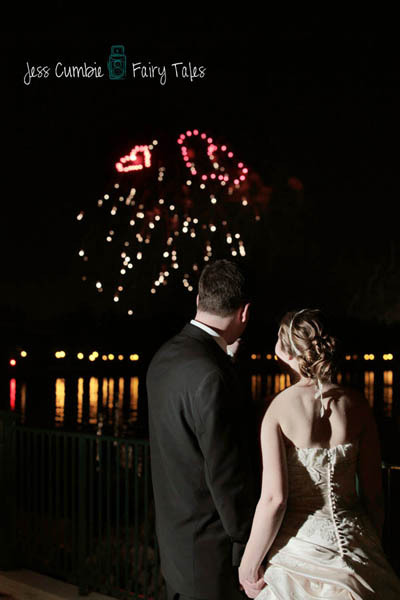 We also offer Engagement and Honeymoon sessions at any of Walt Disney World Resorts. Our next Vendor Reveal falls to an “outside” floral, wedding decorator…. 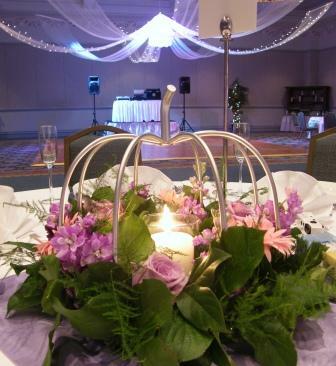 Charming Events Decorating Services, Inc – We create a beautiful day for your wedding with fresh flower bouquets, dreamy ceremony décor, centerpieces, linens, lighting, and finishing touches – everything to make your day pretty! We offer a unique service in that we are one stop shopping for all things flowers and décor. By combining different elements like flowers, linens, and candles, we can create an amazing ambiance that just one of these vendors individually couldn’t even imagine!! The result is comprehensive, clean, simple, beautiful, and often more affordable as well! SECRET: The very last phase of production is the lighting of the votives. Usually at about the same time, the house staff lowers the lights, and the DJ starts to play, and sometimes, just sometimes, you can see a certain designer and her hubby stop to dance slowly across the floor before returning to work! That’s my favorite part! All of our packages are custom built depending on the needs of the couple. We go through bouquet choices, ideas for the ceremony, and centerpieces and reception. 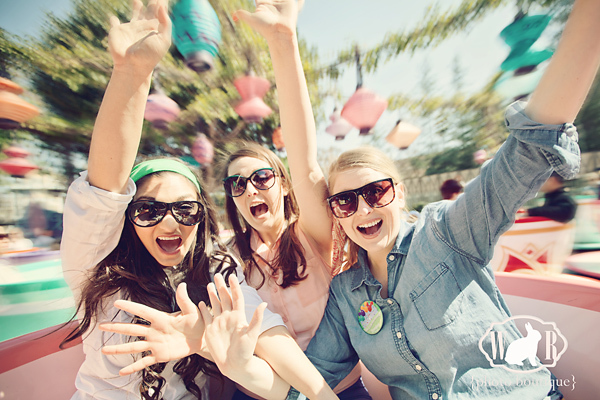 We are VERY familiar with Disney policy and procedure, and can assure you that in our 11 years of business at Disney, every single event has been a success. I love to see lighting play a greater part (although this is nothing new!!). So much emotion is brought to the ambiance through lighting. I love to see lots of candles and uplighting where appropriate, it’s illuminating! Disney weddings are tough, I’m not going to lie. Their timelines are short and strict, and (most of) their coordinators would rather slap you with a ruler than be of any help. 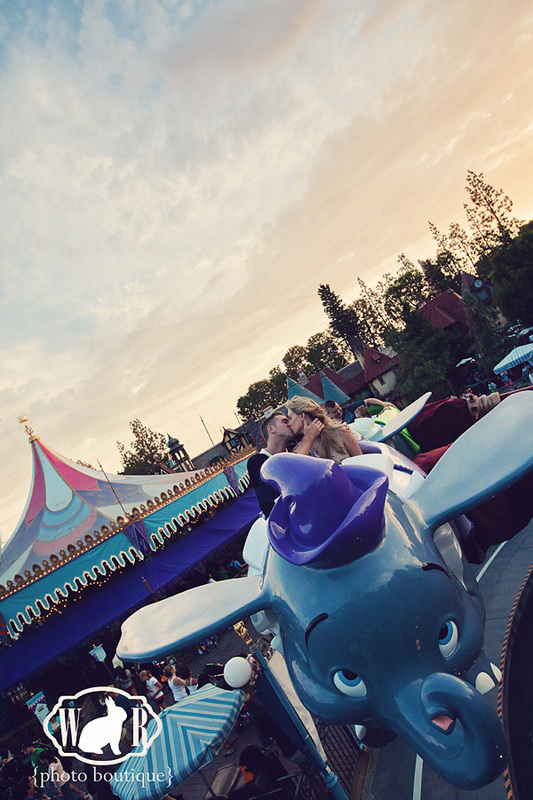 BUT… I do love Disney… and mostly I love my couples! Most of my Disney couples have an idea of the look they are going for, and they want it done right. Period. So, we are naturally on the same page. Strangest? So… many… to… choose… from!! Disney couples often have vivid imaginations and (like me) that’s what draws us back to Disney! So, yes there have been some very strange requests. The most unusual was to have her Bridal Bouquet actually in the shape of a Mickey head, but that you couldn’t really tell unless you looked closely… Challenge ON! Well, you asked for honesty right?? I had one last wedding to go before taking maternity leave with my first baby. And there I was in the Wedding Pavilion sprinkling the last petals on the aisle when I started having contractions! Full on huffing and puffing, red-faced, sprinkling petals, and not just throwing them, they have to be PERFECT!! I had absolutely no intention of going to the hospital, my water hadn’t even broken!! So I went right along, and finished the reception, with my nervous staff attentively by my side!! I’ll never forget THAT wedding!! J (It was beautiful btw!!) And the baby, well I guess I wore him out as he waited another MONTH before arriving! So many choices!! I love the grandeur of American Adventure at EPCOT. But they won’t let outside decorators in there anymore, so I doubt they even do it justice… I also love Sea Breeze Point, very pretty, but can get a bit windy. The Yacht Club gazebo is a lovely choice as well. For Receptions I really like the Boardwalk the best. I feel the facility is ‘fresher’ and more intimate than the Grand. Tinkerbell! She is awesome and can fly! When I first moved to Orlando, I worked at Epcot, so I think I am biased! My family still meets there every year at Christmas for the Candlelight Processional, and we enjoy showing our boys the educational programs they showcase. 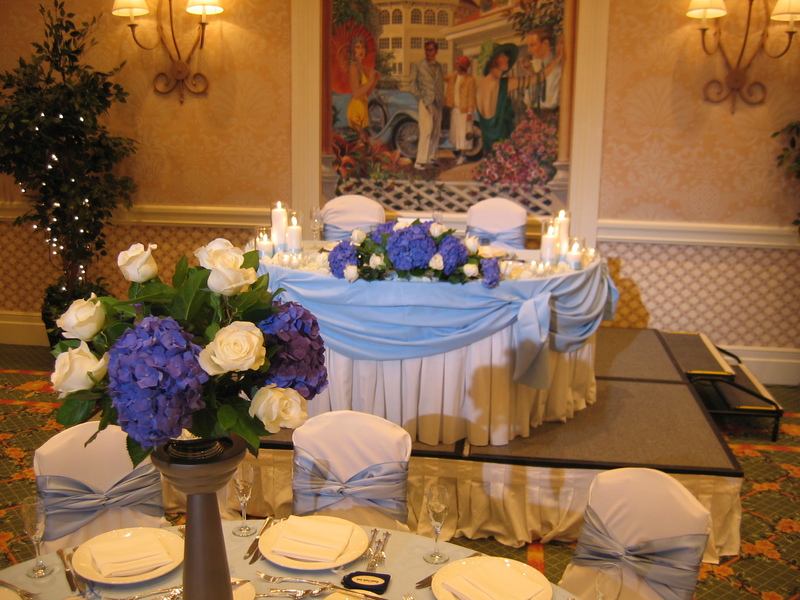 Charming Events Decorating Services, Inc.